I have a piece in the current issue of The Nation, reviewing two recent Middle East books by American think-tank analysts: Andrew Tabler’s In the Lion’s Den: An Eyewitness Account of Washington’s Battle With Syria and Steven A. Cook’s The Struggle for Egypt: From Nasser to Tahrir Square. I was critical of Tabler’s book. While billing itself as part memoir, it neglects much discussion of the author’s own shifting views and politics about Syria. As a journalist in Damascus who founded the English-language magazine Syria Today, Tabler technically worked as a consultant under first lady Asma al-Assad; now he advocates what American sanctions “can teach Assad” from a job at a think-tank that was founded to be Israel’s lobbyist in the foreign policy circles of DC. He used to advocate the benefits of engagement; now he talks about America’s ability to change regime behavior and domestic affairs in Damascus simply through sanctions and tough talk — a foreign policy view shaped by conservative think-tanks and Congressmen in the capital who have little experience and knowledge of Syrian, let alone broader regional history and politics. The two books make for an interesting pair for how the authors see America’s role in a changing Middle East. Tabler writes of his time in Syria, and the current crackdown and threat of civil war there, from his perch at the Washington Institute for Near East Policy, a conservative think-tank whose Middle East analysis hinges on how things in the region affect Israel, particularly Israel’s security, and the American-dictated status-quo. Cook, meanwhile, ends his book on a surprising, refreshing note, that “The United States should greatly lower its expectations of what is possible in the post-Mubarak era and come to terms with the end of the strategic relationship.” While US pressure on the ruling Scaf is needed — especially in light of rising military crackdowns in the street, and the recent raid of NGOs in Cairo — Cook says that to “salvage its position in Egypt,” the Obama administration should say the right things about “democracy, tolerance, pluralism, accountability, and nonviolence—and then take a hands-off approach as Egyptians build a new political system on their own terms.” Cheers to that. The piece is behind the subscriber wall, so here is the beginning. To read the PDF as it appeared in print, click here. So it seems the State Department’s office that regulates embassies’ design standards is once again returning to, well, design principles. 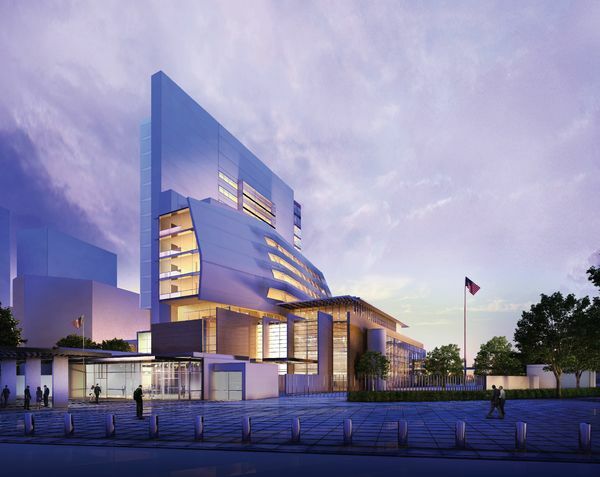 Though for the US government that means much more than just architectural style: “design” for the bureau of Overseas Building Operations also means security issues, costs, and other factors that have made American embassies so drab and so evocative of tone-deaf, aggressive, and bunker-mentality foreign policy. But look at their website! The future London embassy might not be Edward Durell Stone in New Delhi, but it’s better than Baghdad… and certainly Cairo too. I’m reminded of a paper I wrote as a modernism-loving undergraduate in Poughkeepsie, where I took up the challenge of not only defending, but praising the most ostracized building on campus: the 1959 foreign language building designed by Paul Schweikher. Here it is in its heyday. The building has aged badly, lost the purity of its concrete, vaulted barrel roofline, lost an Alvar Aalto-inspired auditorium, had AC units put in all the windows, and the Erwin Hauer-designed sculptural screens have been neglected. What does this have to do with American embassies? The building — a self-promoted island for foreign language study removed from the campus — was of a headier era of American design principles and international aspirations, often expressed through modernism. The building was raised on a plinth, the image of modernist (elevated) separation. English was not to be spoken inside; only foreign languages, especially Russian, sitting at booths in a state-of-the-art electronic language lab. The ideas behind a facility dedicated to modern language learning techniques grew out of the design competition and construction of the new United Nations Headquarters in New York. The expression of these aims through modernist architecture had been set with the new “world headquarters” in New York, drafted by an international team of architects led by American Wallace Harrison and constantly prodded and berated by Le Corbusier. In addition, the National Defense Education Act of 1958, which boosted high school and higher education funding for mathematics, sciences and foreign languages, pointed to the political age of high-minded American ideals, like training for the foreign service and prosperity through modernization and development. The foreign language building in question was inspired by an unrealized design for a new American embassy in Amman, Jordan in 1954, by Paul Rudolph. Rudolph’s Amman embassy was a kind of modernist tent, and not nearly the modernism-meets-the-Orient of Josep Lluis Sert’s American embassy in Baghdad. But Rudolph’s design was rejected, apparently for being designed too much like a “fortress.” In 1954 an embassy in Jordan could not be removed from the city; in 1959 the foreign language building that it inspired opened on the edge of a prestigious women’s college campus, asserting its concrete separation from all the brick, ivy, and quadrangles. 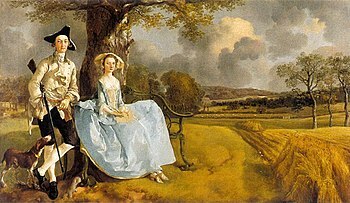 All this is to say that I have a soft-spot, or maybe a misplaced nostalgia, for concrete modernism, or at least for the illusion of American foreign policy ideals that they might represent. Or maybe I just like the irony of Rudolph’s Amman embassy being rejected for the very reason that has dictated American embassy design for decades. But before I get carried away with this bit of news from the State Department: a change toward design does not mean that good architecture will prevail. Just look at the runners-up for the London embassy contest. Eager praise for unforgiving, 1950s high modernism aside, would the US ever approve a great embassy design like this, today? Designed by Richard Meier & Partners Architects. A 1953 “Report from the Near East” via the Travel Film Archive on “how Egypt, Jordan and Iran were working with the U.S. to stabilize the Middle East in the early 1950s.” Through the lens of Julien Bryan. I have a soft spot for these old propaganda reels. Americans like to imagine their rosier relations with Egypt and the Arab world in the 1950s, signaled most of all by US intervention in Suez in 1956. Oh for the halcyon days of postwar aid and development! (Paging Daniel Lerner). If the 58 years of foreboding in this film are any indicator, the Hashemites should be nervous, though I’m sure they already are. 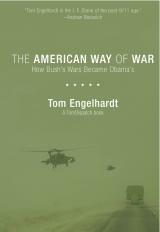 I have a book review in the current issue of The Nation, on Tom Engelhardt’s The American Way to War: How Bush’s Wars Became Obama’s. It’s behind the subscriber wall, so here’s the first paragraph. Why not subscribe, or even get a digital subscription to The Nation, so you can read subscriber only content like this, and support the magazine that this week exposed the hypocrisy of Lou Dobbs. Also read fellow ex-intern Nick Kusnetz’s second report on ALEC, the legislative lobby leading the fight against healthcare reform. Continue reading at The Nation. See the article as it appeared in print here (PDF). Needless to say, this is not the picture of Qutb that exists today. In the nine years since September 11, Qutb has been enshrined as the intellectual father of radical Islam, the man whose ideas explain the beliefs of the 19 hijackers who crashed planes into the World Trade Center and the Pentagon – the inspiration, in other words, for an entire generation of Salafi jihadists. But as the historian John Calvert writes, in an extensive and vital new biography, the consensus that “the road to 9/11 traces back” directly to Qutb is ill-founded, based on a limited understanding of Qutb himself and an oversimplified account of the evolution of political Islam. How did a writer and educator from Egypt’s new, urban middle class, whose early biography matches that of the cosmopolitan secularist Mahfouz, become an Islamist dissident who railed against – and was executed by – Gamal Abdel Nasser, the hero of the post-colonial Arab world? Calvert finds an answer in the social and political upheavals that convulsed Egypt in the middle of the 20th century. In careful prose, backed by volumes of archival research, Calvert situates the development of Qutb’s radicalism against the colonial and post-colonial struggles that framed the Second World War – a time when the Middle East was a hotbed of pan-Arab and Third-Worldist social movements in opposition to imperialism, Communism and the Cold War. Calvert treats Qutb as a subject of history in his own right, and not merely as an “Islamo-fascist” caricature; and in so doing represents Qutb as an example of the possibilities and uncertainties of his era. In Calvert’s narrative, we trace Qutb’s development from transplanted villager and young, mostly secular nationalist in Cairo to budding Muslim reformer who described Islam as an economic, social and political corrective to the region’s malaise – from King Farouq’s acceptance of Britain’s hold over Egypt to the Zionist colonisation of Palestine. As Egypt grew restless in the lead-up to the 1952 revolution, Qutb’s views hardened into a Third World leftism that placed Egypt in a transnational community of the “Muslim East”. After King Farouq sailed out of Alexandria, the Free Officers courted Qutb, eager to bring the Muslim Brotherhood into the fold, though he had not yet joined the Brothers. He did so the next year, in 1953, to take his side in a quickly deteriorating relationship between the new regime and the Brotherhood. A year later Nasser capitalised on a failed assassination attempt to round up the Brotherhood and neutralise his Islamist opponents. Qutb spent nearly a decade in Tura prison. In foul conditions and under the tortuous treatment of Egypt’s police, his radicalism was fully formed. Displaying his scars to a court in 1955, he declared: “Abdel Nasser has applied to us in jail the principles of the revolution.” In this time he wrote Milestones, a short, radical text in which Western materialism and contemporary Arab society are cast as signs of modern jahiliyya or ignorance, a term meant to connote pre-Islamic Arabia. He included both secular pan-Arab governments and the prevailing religious order in his damning critique. Based on a voluminous study of the Quran that he also completed while incarcerated, Milestones popularised Qutb’s view of Islam as a complete societal and moral system for Egypt and the wider ummah. 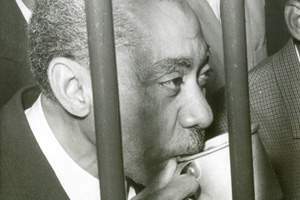 After a brief release in 1964, Qutb was imprisoned again in another government sweep against the banned Muslim Brotherhood, which had reformed and plotted a government overthrow. Nasser was wary of making him a martyr, but when Qutb refused the “Pharaoh’s” offer of clemency, he was hanged in 1966. It had taken the government six months to ban Milestones, then on its fifth printing. Qutb’s death, and the subsequent failure of Nasserism after Israel’s victory in 1967, shook a generation of young people, among them Ayman al Zawahiri, a 15-year-old living in Maadi who went on to help found the Islamist group that assassinated Anwar Sadat. When Zawahiri was detained after Sadat’s death, he and other perpetrators were tortured, and their courtroom testimony echoed Qutb’s own experience under Nasser. The Washington Post’s Richard Cohen recently reproached both The Economist and the historian Eugene Rogan for writing about Qutb’s centrality to modern political Islam without a mention of his anti-Semitism – in particular his book Our Struggle with the Jews. The book, Calvert writes, is a paranoid, reductive effort by Qutb to graft the historic discord between the Jews and early Muslims of Medina, told in the Quran, onto the Arabs’ modern-day struggle against Zionism. It is propaganda of a textual fundamentalist, which Qutb was. But remarking on it or not should not define all commentary on Qutb. Similarly, that the nihilists of al Qa’eda have adopted Qutb’s discourse of jahiliyya does not mean that Qutb would have endorsed its horrific programme. He never advocated killing innocents and despite invoking worldwide “ignorance” never labelled people kafirs. Despite his discontents with America, Qutb would probably have been disturbed by September 11. Bin Laden and Zawahiri reversed the order of Qutb’s theory regarding societal and systemic change, Calvert argues, “which advocated as a first step the eradication of the perceived corruption at home”. More central to Qutb’s struggle and the durability of his radical message, therefore, is the fact that it was Nasser – Egypt’s first modern autocrat – who put him to death. Source URL at the National. July 2, 2010 – The weekend before Memorial Day, Senator John Kerry visited Syrian President Bashar al-Assad in Damascus—his third such trip as chairman of the Senate Foreign Relations Committee and second in as many months. He was there, by all accounts, to defuse tensions and clarify Syria’s response to Israel’s unconfirmed accusations, echoed by the United States, that Syria had delivered Scud missiles to its Lebanese ally Hezbollah. With past visits by special envoy George Mitchell, Under Secretary of State William Burns and a stream of other officials, the presidential palace has been busily receiving guests at its perch above Damascus—and that’s only the Americans. The French and German foreign ministers were in town the same weekend. Assad has become one of the region’s busiest hosts in the past year, as he maneuvers Syria out of the diplomatic cold by talking to everyone: friends (Iran, Hezbollah, Turkey), enemies (America) and cool neighbors (Saudi Arabia) alike. Read the rest of the piece at The Nation.